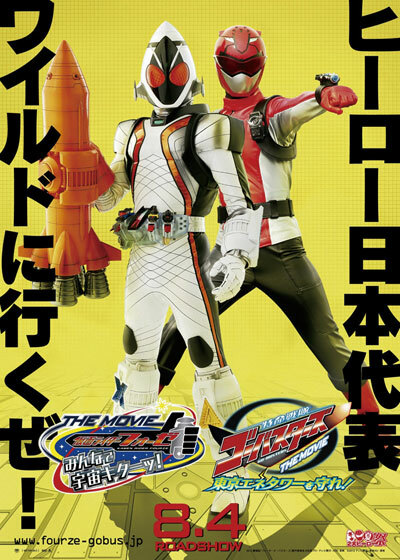 Movie: Kamen Rider Fourze the Movie: Everyone, Space Is Here! Romaji: Kamen Raida Foze Za Mubi Minna de Uchu Kita! Movie was released as a double bill with "Tokumei Sentai Go-Busters the Movie: Protect the Tokyo Enetower!" on August 4, 2012 in Japan.